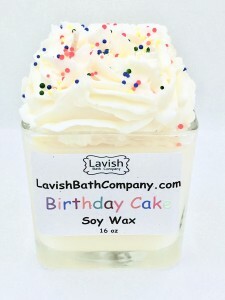 Birthday Cake Buttercream Vanilla Scent - This is the PERFECT Birthday Cake! Rich and sweet birthday cake. Moist, white cake with a rich, sweet butter cream frosting. YUM! 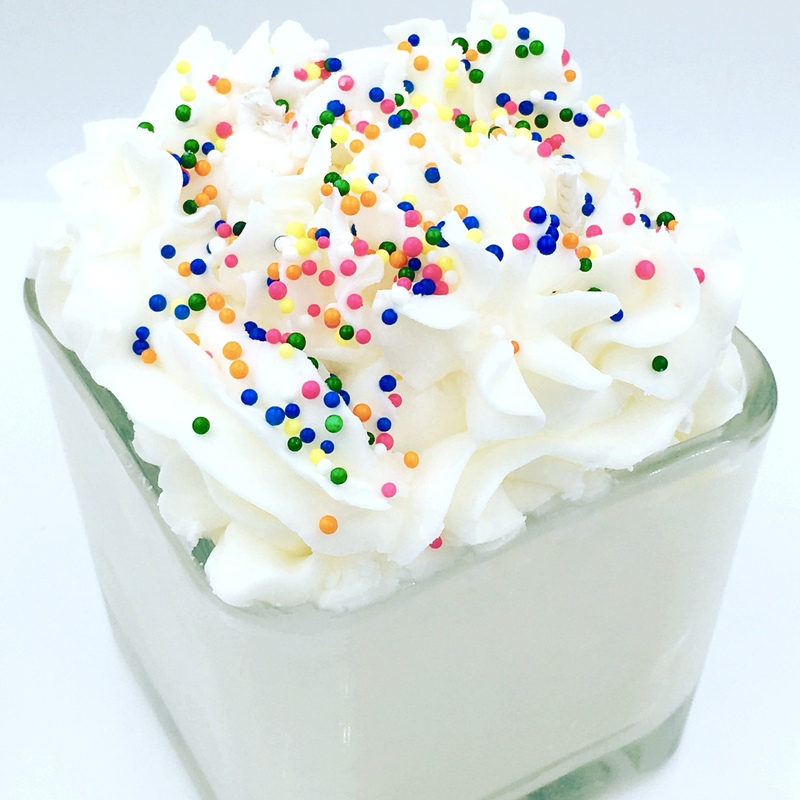 You'll be in bakery heaven with this fabulous scent! 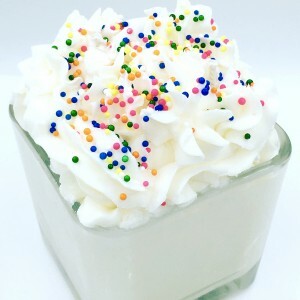 All Natural Soy Wax Candle in a gorgeous Cube Glass. 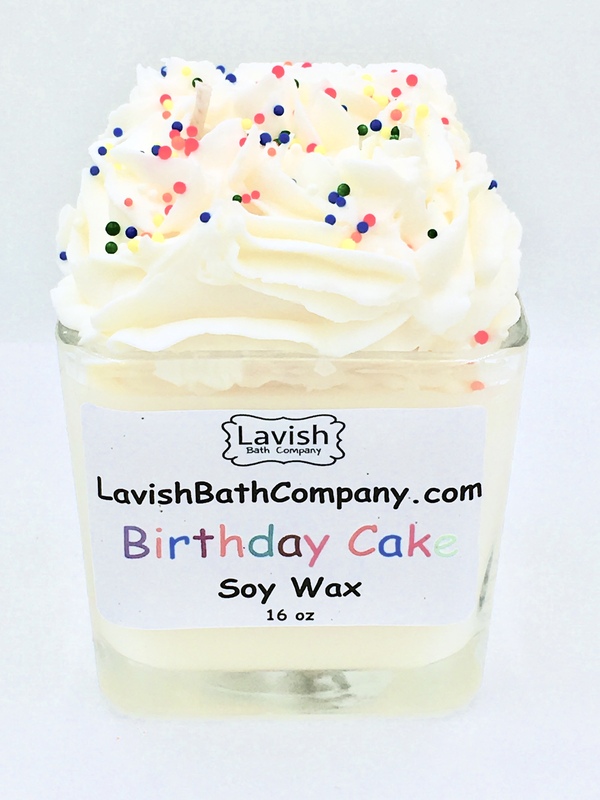 The overflow of wax makes this candle at least 16oz! This candle is all handmade!! Just stunning!! Pure and natural Canadian grown, NON'GMO Soy candles with a Cotton core wick. The best time of year for Candles!! From fall scents, to baked pies, sweet treats, sweatshirts and bonfires, fall nights are right around the corner! 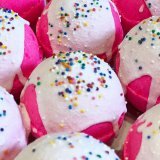 Best selection for fall and winter scents! !